Most households are now dependent on many electrical appliances and it can be a hassle if our electrical equipment can’t reach the wall outlet. With that in mind, using the best extension cords and power strips can greatly assist in rectifying the issue. However, there are many types of extension cords and power strips, like the one with USB ports, switches, and a circuit breaker, and it makes it hard to choose the right product for you. In this page, we’re going to introduce you our top extension cords and power strips in the Philippine market. We’re also going to help you choose the best extension cord and power strip with our guide so check that out as well. There are people who would blatantly select any extension cord they see sitting on a store shelf only to find out it’s not the right one for their needs. In this segment, we’re going to tell you what you need to know to find the best extension cord and power strip. Different people have varying requirements when looking at extension cords and power strips. However, most buyers would check out three important factors, and they are the product’s length, the number of insertion points (gangs), and the presence or absence of a switch or switches. Keep in mind that these products present varying lengths for their cords. Some models will only give you a cord of 1 meter in length whereas there are some that can exceed the 10-meter mark. Always check the required minimum distance for your electrical appliances to reach the power strip before making the purchase. As a rule of thumb, a longer cord is always better than having to deal with a short cord. Aside from checking the length of the cord, taking a look at the number of outlets is also a necessary step in choosing the best extension cord. Choose a model that has an appropriate number to give power to your devices. If there are unused outlets, and there are no individual switches controlling the flow of power on the strip, then chances are you’re going to use up more power than necessary. Speaking of switches, note that there are different types of switches for extension cords and they are the following: batch switches, individual switches, and no switch. Conserving power is made easy if switches are present. Individual switches present a more flexible solution in controlling the power output for the entire extension cord in comparison with the batch switch or no switch models. Some people choose simple extension cords without any additional features maybe because it means they won’t have to spend additional cash. On the other hand, using extension cords with extra helpful functions can bring supplementary benefits for the short and long term. For instance, the rise of devices requiring the use of USB ports made extension cord manufacturers to equip their products with the appropriate ports. It brings additional convenience for users as you don’t have to search high-and-low for an extra charging brick just to power your USB-powered device like your smartphone. Also, look for products with an overload protector for safety. Choosing fire or waterproof products would be necessary as well if you are going to place it in the kitchen or bathroom. Some people like the old-fashioned industrial look of extension cords and power strips, but there are some users who like to add additional flair to these products to help bring unity in the room. With that in mind, there are extension cords and power strips that offer different designs. Choose the right look to go with the theme of the room so that the device won’t look like an eyesore. After reading our guide on how to choose the best extension cord and power strip in the Philippines, it’s time to start looking at some products. Take a look at each item we placed on our list as we give you different choices to satisfy various electricity needs. It’s always cumbersome to go to a camping site only to find out that the nearest power outlet is more than 10 meters away, but that’ll no longer be a problem with this extension cord. It packs a 15.2-meter long cord to reach distant wall outlets. However, it only has one two-prong polarized plug so you have to carefully consider what to connect with this extension cord. It’s still an ideal choice for outdoor scenarios so you can always keep an eye on your gadgets instead of you being close to the wall all the time. If you’re decorating your child’s room, then you’d want an extension cord that should match the bright colors in the area. 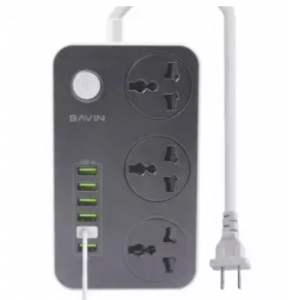 This product not only has a child-friendly design, but its outlets are displayed diagonally instead of the traditional line. It doesn’t, however, cater to 3-pronged plugs but that concern is easily remedied by using the correct adapter. Lastly, the 1.8-meter cord is decently long to reach most wall outlets in small to medium-sized rooms. This extension cord and power strip let you save on precious space by erecting it instead of laying it down on a surface. 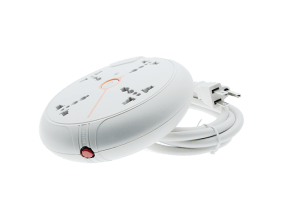 It also comes with additional features, namely its built-in safety circuit breaker and lightning protector. It can only handle 2,500 Watts of power (which is an industry standard) despite you can plug in up to 16 devices to this strip. However, each side has a dedicated power button to help you save power usage. Large appliances and devices that require more power than, say, your smartphone tend to use 3-pronged plugs. 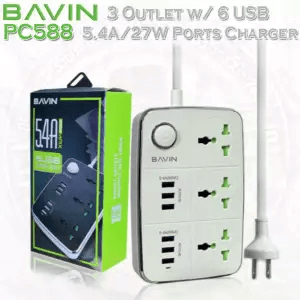 While there are many power strips on the market that can cater to 3-pronged plugs, this model has very large spaces between each outlet to avoid bumps and incorrect insertions. It can only cater to 4 devices plugged into it, but that might already be enough for most homeowners. 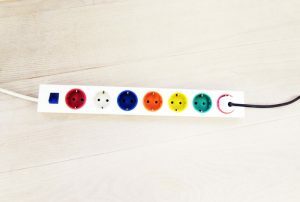 It’s impact resistant casing is also great to give you peace of mind if you place this power strip on a shelf or table. It’s safe to say we have those moments wherein you just want to have a device plugged in because we’re too lazy to insert and remove the plug every time. This extension cord can take care of those moments thanks to the individual switches in each of its outlets. 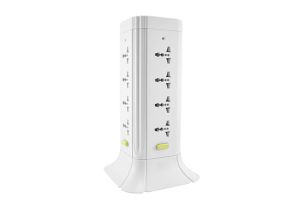 Overall, this power strip is ideal for people who want to save some time from plugging and unplugging their devices. 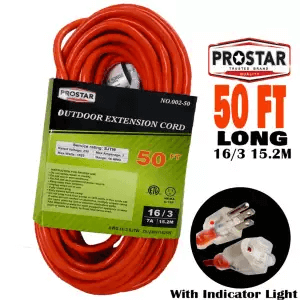 If you have a job that requires you to be outdoors all the time then you may want to add this power strip and extension cord to your next shopping list. It comes with a rain and shockproof design along with a decently lengthy 6-meter extension cord. This model can also cater to a maximum load of 3,750 Watts, which is better than most conventional power strips on the market. It may just have 3 gangs, but you can connect more power strips to it without worry thanks to its overload protection circuit. Some power strips and extension cords may only have one or two safety features, but this model helps bring complete peace of mind for its users. Its material is fire and waterproof, and it even comes with a silver-plated switch which is resistant against oxidation or rust. 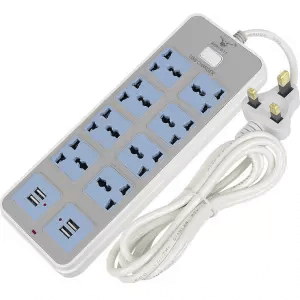 This power strip even comes with a good amount of gangs (8 in total) along with 4 USB ports. 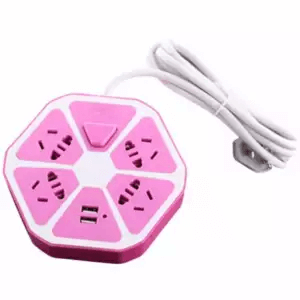 Locations like offices or computer rooms with many electrical devices and appliances should have this power strip. Most power strips on the market will always have their gangs exposed to environmental hazards and that can shorten the life of the device. 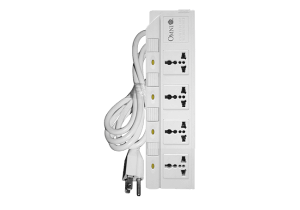 If you want to ensure that the outlets are always safe when they’re not in use, then this is the power strip to buy. 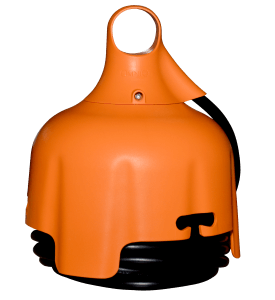 Its design also allows you to easily and neatly store the extension cord which would otherwise cause some trips and falls. This power strip is ideal for areas prone to dust, dirt, and other hazards that might damage or destroy its outlets. 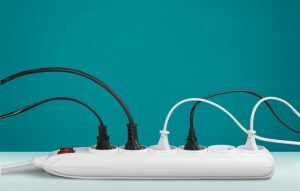 Some conventional power strips let your devices use whatever available power they have, but this model gives your gadgets and appliances only the appropriate amount of electricity. As such, it can help you save a lot in your monthly electricity bill. 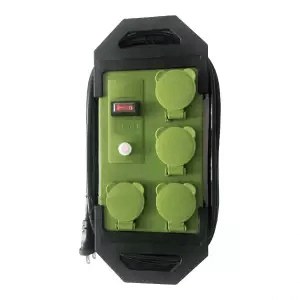 It also comes with a good amount of safety features like surge, short circuit, and overload protection. Invest on this power strip if you’re looking to save cash from your electricity bill in the long term. After reading through our guide and checking our list of the best extension cords and power strips in the Philippines, you should now have a good idea on what model to buy. Always consider your needs before buying like the number of outlets, the length of the cord, and if you want additional features in your chosen model to give value to your hard-earned cash.